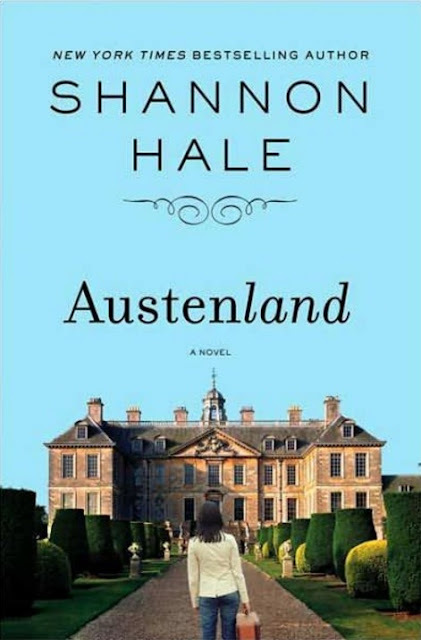 As a huge fan of Jane Austen movies and books, my antennae perked up when I heard of the movie, Austenland. When I discovered that the movie is based on a book written in 2007 by Shannon Hale, I decided to check out the book before taking in the movie. This became doubly important when I saw a crushing review for the movie, which I had really been looking forward to. The book was a pleasure to read. All right, it was a light and fluffy read but sometimes that is exactly what you want. Reading, along with movies and okay, I'll admit it, food, are two of my escapes and I bet they are for you, too. Within the covers, Jane Hayes escapes the ordinary world in which she has been unsuccessful in finding a man and travels to an English resort where she trades her modern conveniences and clothing for period items and enters the world of Jane Austen. She is hoping to rid herself of her obsessions with the world of Pride and Prejudice and, in particular, the handsome Mr. Darcy as played by Colin Firth whose image has kept her from finding her own Mr. Right. "Enter our doors as a house guest come to stay three weeks, enjoying the country manners and hospitality - a tea visit, a dance or two, a turn in the park, an unexpected meeting with a certain gentleman, all culminating with a ball and perhaps something more..."
If you have enjoyed previous contemporary books and movies from Jane Austen, you will enjoy the charming and funny story found within the covers. I read the hardcover edition as shown here and, given the choices, I think this is the version I would pick if I were buying one as a gift for a "Janeite." However, the book is also available in trade paperback, as a movie tie-in and for your Kindle or other eReader. You can find your copy in whatever format you prefer on Amazon by clicking right here. The book features 197 pages of what can only be called pure escapism. If you are curious about the movie version, be sure to visit my Austenland movie review. If you loved Downton Abbey, you will love some of these merchandise items whether you are shopping for yourself or a friend. Which Is The Best Emma Movie? Are you taken in by every Jane Austen movie? Have you seen all of the versions of Emma? Which one is the best? Do you know or would you like to find out? A minister and murder. An unlikely mix, perhaps but I'm really enjoying Grantchester. I'm game! I love Pride & Prejudice and I can easily imagine someone being so taken with Mr. Darcy, in particular as played by Colin Firth, that they would have a very difficult time finding anyone who would compare. 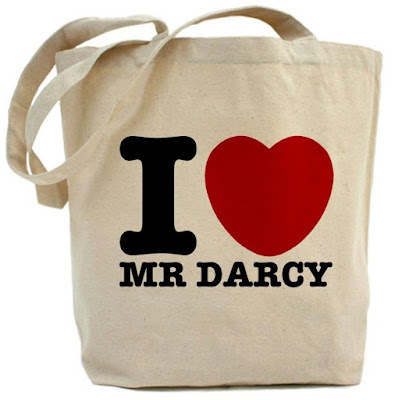 I actually remember meeting someone myself who said she was searching for a current day Mr. Darcy. I thought at the time, well good luck with that! Yes, the idea is fun...the reality must have been much less pleasant then it is pictured in books and movies. A light and fluffy read is something I definitely enjoy and this one sounds like a winner. Who wouldn't want to go back in time for a few weeks, leaving the ordinary world behind, especially when promised certain company? Guess I'd have to leave my Kindle behind... Thanks for the review, Brenda! I like fluffy reading and this sounds like a fun read. Thank you for the review - adding yet another book to my to-read list. I'd love to read this when I can actually take a break after finishing the taxes and seeing Hubby's pulse stabilize. He needs more of my time than usual now. I'll keep this book in mind when I can finally take time for an escape. It sounds like a book I'd really enjoy.